I am so excited to share that I still have selected dates available January – April 2019 and to share the love I am running this limited edition special offer for Gauteng, Cape Town & KZN Midlands Weddings on selected dates in 2019! If you just got engaged and planning your wedding, then make sure you get in touch to secure your date! – Valid only for weddings that will take place in Gauteng, Cape Town & KZN Midlands. – This special is valid for selected dates during 2019, subject to photographer’s availability. – Travel of 130km round trip from Craighall Park, Johannesburg will be included. Thereafter R5,50 pkm will be charged additionally. – Weddings in KZN Midlands taking place from January – April 2019 will be charged travel of R5,50 pkm from Pietermaritzburg, first 80km round trip travel will be included. Accommodation in Pietermaritzburg will be available and not be charged to the client, however if wedding venue is further than 80km (round trip) from Pietermaritzburg accommodation needs to be booked additionally for the night of the wedding and will be for the client’s account. Travel cost from Johannesburg to Pietermaritzburg will not be charged. – Weddings in Cape Town taking place from January – April 2019 will be charged travel of R5,50 pkm km from Stellenbosch, first 80km round trip travel will be included. 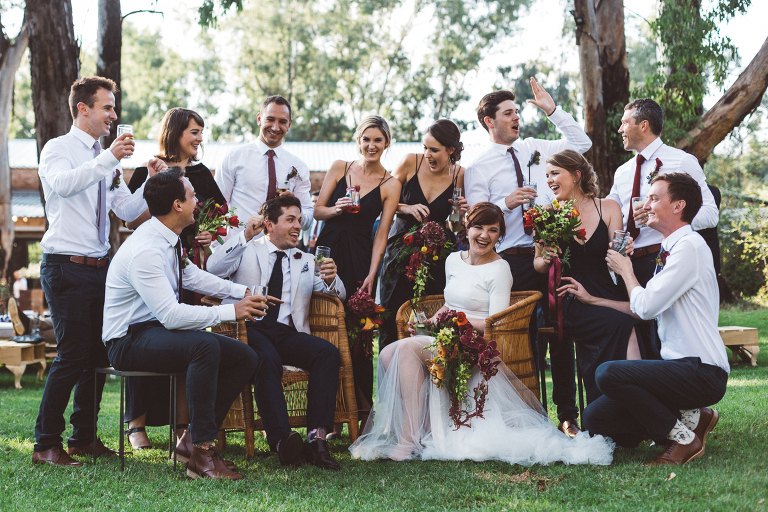 Accommodation in Stellenbosch will be available and not be charged to the client, however if wedding venue is further than 80km (round trip) from Stellenbosch accommodation needs to be booked additionally for the night of the wedding and will be for the client’s account. Travel cost from Johannesburg to Stellenbosch will not be charged. – This offer is valid on a first come first serve basis. 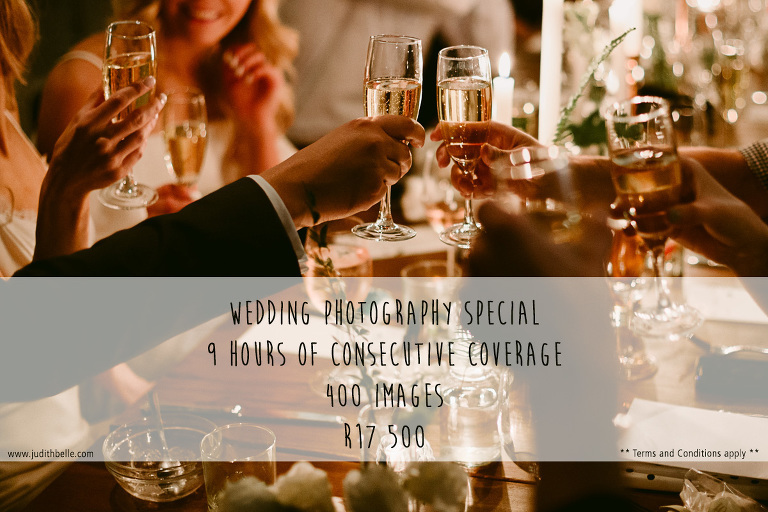 – Wedding Package includes 9 hours of consecutive wedding photography by one photographer, 400 High Res Images for limited offer of R17 500. – a second photographer (to ensure all the extra angles and coverage) can be booked additionally and will be quoted separately. – price list of available albums will be included with the contract and can be ordered additionally. – A 50% booking fee is required to secure your date. The balance is payable 2 weeks before the wedding date.